Sinhagad, Sinhgarh, or Sinhgad, The Lion's Fort, is a fortress located roughly 30 kilometres southwest of the city of Pune, India. Previously called Kondhana, the fort has been the site of many important battles, most notably the battle of Sinhagad in 1670. 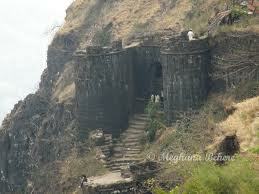 It was also strategically located at the centre of a string of other forts such as Rajgad,Purandar and Torna. Perched on an isolated cliff of the Bhuleswar range of the Sahyadri Mountains, it is situated on a hill rising 1312 metres above sea level. Given natural protection by its very steep slopes, the walls and bastions were constructed at only key places; it has two gates – the Kalyan Darwaza in the south-east and the Pune Darwaza in the north-east. Sarvovar Hotels: 'Hometel' is a vibrant value brand that redefines the concept of an economy hotel. Noorya Hometel, our corporate hotel near Hinjewadi phase 1 Pune, is a budget hotel in Pimpri Chinchwad. Hometel are defined by intelligent amenities and essential services which speak to the needs of the budget-conscious traveller who seeks quality and affordability. The compact rooms blend comfort with functionality to provide comfortable, restful stays. This fort has had quite a long history, It was called 'Kondana' after the sage Kaundinya. The Kaundinyeshwar temple, the caves and the carvings indicate that this fort had probably been built two thousand years back. It was captured from the Koli tribal chieftain, Nag Naik, by Muhammad bin Tughlaq in 1328 AD. Shahaji Bhosale, as the commander of Ibrahim Adil Shah I, was entrusted with the control of the Pune region. His son Shivaji, however, refused to accept the Adilshahi and initiated the task of setting up Swarajya. He gained control of Kondana in 1647 by convincing Siddi Amber, the Adilshahi Sardar who controlled the fort. Bapuji Mudgal Deshpande played key role in this activity.In 1649, it had to be handed over to Adil Shah for Shahaji Maharaj's release. Shivaji Maharaj recaptured it back in 1656 again with the help of Bapuji Mudgal Deshpande,who convinced Fort commander by giving land in newly created Shivapurvillage and peacefully gained control of fort.This Fort saw attacks of Mughals on 1662, 1663 and 1665. In 1664, Shahistekhan- mughal general even tried to bribe people of fort to hand over the fort to him but he was unsuccessful. In Purandar Pact it went into the hands of the Mughal army chief Mirzaraje Jaysingh, in the year 1665. In 1670, Shivaji Maharaj re-conquered this fort and then it stayed under Maratha rule till 1689. After the death of Sambhaji, the Mughals regained control over. Again in 1693 the Marathas recaptured it headed by Sardar Balkawade. Chatrapati Rajaram took asylum on this fort during Mogul raid on Satara but Rajaram died on Sinhagad on the 3rd of March 1700 & in 1703Aurangzeb conquered the fort. In 1706, it once again went into the hands of the Marathas. Pantaji Shivdev of Sangola and the Pant Pratinidhis played key role in this battle. Then this fort remained with Marathas till 1818, when the British conquered it. 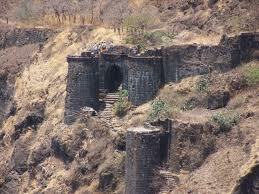 British however took three months to capture this fort, which was longest it took them to win any fort in Maharastra. One of the most famous battles for Sinhgad was fought to recapture the fort by Tanaji Malusare, a general of Shivaji in March 1670. A steep cliff leading to the fort was scaled with the help of a monitor lizard named yashwanti, colloquially known as a ghorpad. Thereafter, there ensued fierce battles between Tanaji and his men, and the mughal army that had the fort at the time. Tanaji lost his life, but his brother Suryaji took over and captured Kondana. There is an anecdote that upon hearing of Tanaji's death, Shivaji expressed his remorse with the words: "Gad aala pan sinha gela" - "We gained the fort, but lost the lion". The name Sinhgad, though, pre-dates this event, and can be seen in written communiques from the era. A bust of Tanaji has been established on the fort in memory of his contribution to the battle. It remains to this day a grand symbol of a great Maratha victory. Pune is well known for its forts and its hilly areas, which attract trek lovers in huge numbers. It has also been one of the eminent tourist spots in the state of Maharashtra. Holding historical structures like Shivneri Fort, Janjira Fort which is a unique fort covered with sea from all sides, Sinhagad Fort etc. Pune is also known as the cultural capital of the state. Sinhagad. 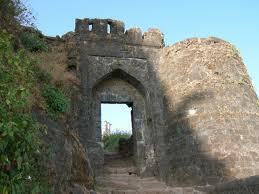 Fort is located to the southwest of Pune at a distance of 25 km. Trekking is the major attraction of the fort. The fort forms the centre of all other forts Rajgad, Purandar and Torna surrounding it. The walls, the bastions and the slopes of the fort are built with tremendous idea providing natural protection and have been built at only some of the key points. The Fort has only two gates to enter the structure, the Kalyan Darwaza and Pune Darwaza which are positioned at the south east and north-east ends respectively. Some of the information available at this fort portrays that the fort could have been built 2000 years ago. The caves and the carvings in the Kaundinyeshwar temple stand as proofs for the same. In 1328 AD, Muhammad bin Tughlaq captured the fort from Nag Naik, Koli tribal chief. Since this time, many rulers attempted to capture the fort and it went into the hands in regular intervals. Shivaji, the ruler of Marathas took over the fort in 1647. Mughals gave a tough fight in capturing the fort, but Marathas never let the fort stay under any one for a long time. The fort was captured by other rulers and recaptured by Marathas at regular intervals, until the British finally captured it in 1818. The fort is also significant for holding the memorials of Tanaji Malusare and Rajaram, younger son of Shivaji. Tanaji was a general of Shivaji who lost his life in the Battle of Sinhagad. Twentieth Century history reveals that one of the renowned Indian freedom fighter Lokmanya Tilak erected a bungalow above the fort. Parts of the once extensive fortification are now in ruins, but visitors still sense how the fort acted as an active military outpost. It is a popular weekend destination for many residents of Pune, with some enthusiasts trekking to the top of the fort from the base near Sinhgad village. The site also houses a memorial to Tanaji as well as the tomb ofRajaram, Shivaji's younger son, who also died here. Visitors can see the military stables, brewery and a Kali (goddess) temple along with a Hanuman statue much to the right side of the temple, as well as the historic gates. The fort is also part of training at National Defence Academy, Khadakwasla. Cadets from the academy are regularly sent on a hikes and runs from NDA to Sinhagad in full battle gear to build endurance and stamina. The fort also houses a television tower for broadcasting local TV signals. There is a steep and narrow two lane road from the base of the fort to the top. The local municipal transport service, the PMPML runs buses every hour from Shaniwarwada and Swargate to the Sinhgad foothills. The climbing route from either side of the fort can be covered in around an hour, however it gets slippery in the rainy season. Shared taxi services to the base as well as the top of the mountain are also available.